As promised, a vegetarian (vegan if you want) version of stuffed squash. This is an entirely different dish than the kale and sausage version I posted a little while ago—a new option, rather than a substitute. Nutty, textured, and delightfully salty due to a good dash of miso. The base for the filling is quinoa, nuts, and seeds. Mushrooms for depth, cranberries for punch, miso for umami, and a little cheese if you like for creaminess. Other vegetables would be welcome, like chopped up kale or spinach, but not needed. Extra filling would be excellent topped with an egg for another meal. In the news: as you may know, climate change convention last week. Agriculture did not play a huge role, but there are a few hopes for carbon sequestering in the soil, and climate change-related disasters will have a huge economic impact on agriculture. In that, as with our own Congress, food systems do not yet receive the attention they are warranted. We may get there. To keep up on those strange farm-related activities in Germany, did you hear about the herd of cattle adopting a wild boar? And now on to an actual recipe (of sorts. We’ve been over the no-recipe recipe deliberation). Start the quinoa cooking: add twice as much water as quinoa, bring to a boil, then turn down and let it simmer until fluffy. Roast the squash: wash, cut in half, scoop out the seeds, and cook for 20 or so minutes in a hot (350-400º) oven, until just soft. Remove from oven. In the meantime, compile everything else: chop up mushrooms and sauté them briefly, pull out whatever nuts and seeds you like and toast them (on a baking sheet in the oven for 5-10 minutes, watching carefully so they don’t burn). When the quinoa is cooked, take out however much you want to make into filling and put it in a large bowl. Thin the miso with a little water, mix with butter (or oil), and stir into quinoa. Add nuts, seeds, mushrooms, cranberries, and a few seaweed flakes (we have this mix). Taste and add more seasonings, as desired. With cooked squash cut-side up, fill the cavity with the filling mix, piling it up nice and high. Top with cheese, as desired, and place under the broiler for a few minutes, until cheese is melted and golden. Makes for good leftovers #desklunch the next day, too (especially paired with a creamy tahini-dressed salad). Although it now be spring, according to Google, there still aren’t too many greens available (they are starting!). So, time to use up some pantry staples. I still have approximately a zillion potatoes, that I really need to use because they are starting to sprout. We’ll get there (hopefully). I don’t remember if I’ve shared this yet or not, but particularly in regards to sourcing quality meat, apparently my generation is leading the charge at pushing for change. I had meant to post about this last week, because Saturday was Pi Day (!) but I didn’t get around to it. I hope you celebrated appropriately! I got so excited at 9:26am, it was almost absurd. But hey, the world needs more enthusiasm. 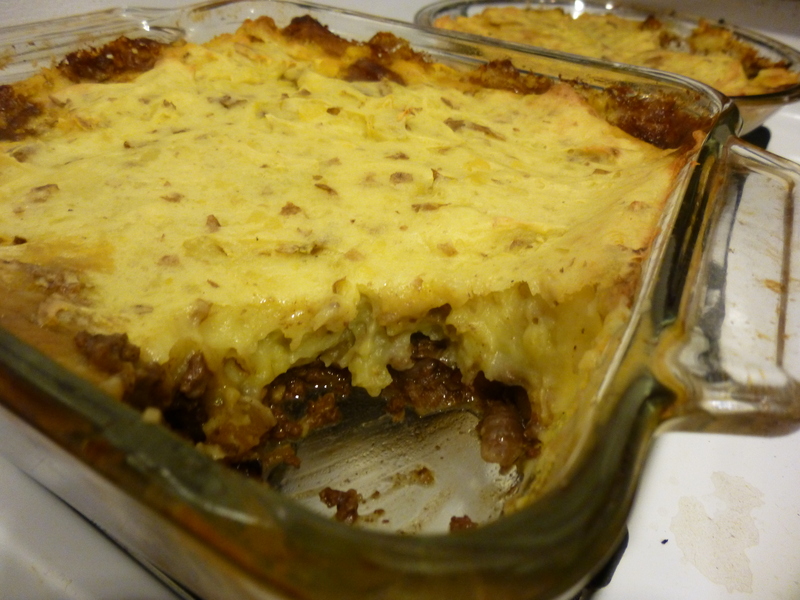 Shepard’s pie is easygoing. A throw-everything-you-happen-to-have in kinda meal that (with a few key ingredients) ends up fantastic. 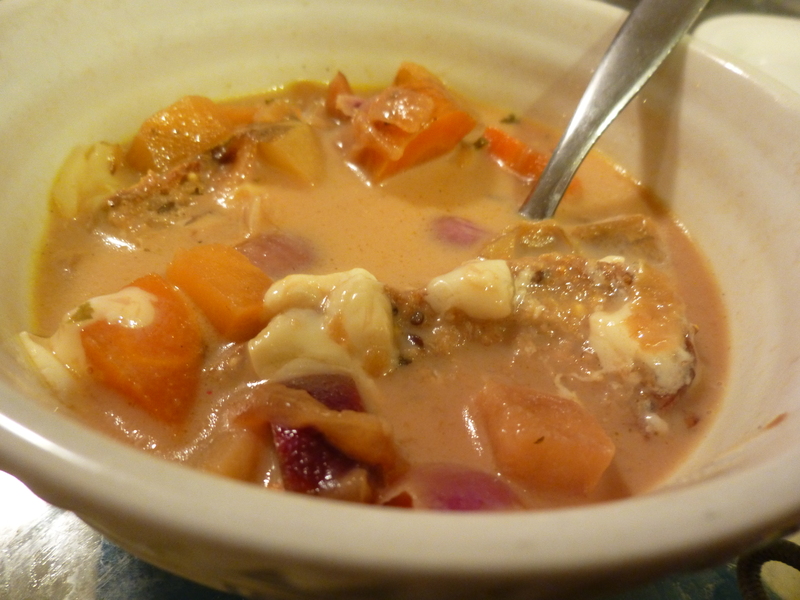 It’s a good way to use random root vegetables that are staring to look a little questionable, and though it’s a meat-and-potatoes dish, I was surprised by the high ratio of vegetables I managed to stuff in, to have it end up tasting super meaty and hearty. This also freezes excellently. I made two (one in an 8×8 pan (which admittedly worked better) and another in a pie dish), and froze the second (let cool, then cover tightly with aluminum foil). Then when you have a potluck and don’t have time to prep a bunch of things, plop it in a cold oven and turn up to 400 or so, leaving it until it’s heated through. Yum yum yum. My secret ingredient in this particular pie was heavily reduced lamb stock. Shepard’s pie can be made with beef or lamb (lamb is a little more traditional), but I didn’t have lamb and anyway beef is a little cheaper. I did, however, have some lamb bones from a roast a little bit ago, so I boiled those for a long, long while, at first with quite a bit of water and then I let it reduce to perhaps 1/4 of the volume. Ended up with a thick rich lamb juice that paired splendidly with the ground beef. However, if you don’t have that you can use chicken stock, and it will still be tasty. I will also note that I screwed up the potatoes a bit, and was glad not to be serving them plain. I don’t have a potato masher, and had the bright (heh) idea of using my immersion blender (at first just as a blunt tool, and then I decided to turn it on). Turns out too much beating blows up the swollen starch cells in the potatoes and make them gluey and weird. Fortunately, if you put them on top of something (aka ground meat mixture) and bake it, they still taste pretty good. Other suggestions for rescuing potatoes here. Scrub the potatoes, and set them to boiling: cover with cold water, salt, then bring to a boil and simmer until soft (warning: if you overcook them, they are more likely to become gummy). Preheat oven to 400ºF. Chop up whatever veggies you are using. Sauté veggies with oil, starting with the onions (everything but the garlic), until mostly soft, then add the garlic. Add the ground meat, salt, and pepper, and cook until meat is browned, stirring. Toss with a little flour, then add your lamb reduction, or other stock (it helps if this is already heated). Add tomato paste/sauce if you have it, other sauces as you see fit (Worchestershire sauce? ), and herbs. If it starts getting dry, add more stock. Mix in frozen peas if you like. By now the potatoes should be done; drain and mash (with skins!) with butter, milk, and and egg yolk if you are feeling particularly luxurious (hopefully with a potato masher. I’m not sure what I’ll use next time as a substitute). Season to taste. Put the meat, which should have a thick sauce, in a baking dish (I recommend 2 8×8 pans, so you can freeze one, but you could do one large one, or pie dishes if you don’t have other vessels). Spread mashed potatoes on top, and put it in the oven until the juices are bubbly and potatoes are golden on top, 25 minutes or so. Let cool slightly before serving. Leftovers heat up well in the microwave, although better (of course) in the oven. And like I said, it freezes well.